Espa is situated along Cashew Road, tucked amidst the serene landed Cashew estate in the prestigious Upper Bukit Timah district, Espa is an elegant architectural interpretation of a contemporary low-rise condominium. Espa is conceptualized around a private milieu of landscaped lawns and water courtyards, bringing harmony into every home. Espa consists of 78 exclusive homes of 2 - 4 bedroom apartments to exclusive double-storey penthouses extending generously across three low-rise residences. 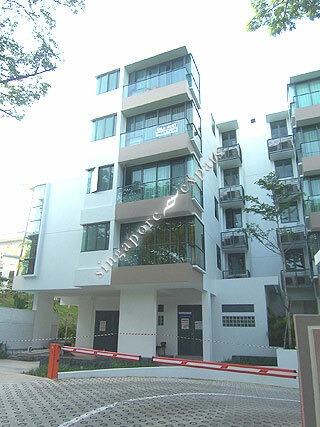 A private lift will carry you to your very own abode within the central five-storey dwelling. Ground floor units within the heart of Espa come with your very own private reflecting pools and timber decks for the magical enjoyment of nature. At Espa, pleasing water features and refreshing greenery surround, offering a warm cocoon for you and your family from the world at large. Enjoy the edgeless infinity pool and a full-glass gymnasium tower all within the privacy of Espa. Take a short walk and be awed by the lush Bukit Timah Nature Reserve and its glorious tropical splendour. Espa is within close proximity to a host of great schools and educational institutions, alfresco dining options, shopping and leisure attractions. Venture just a bit further afield and you'll enjoy even more dining and shopping options along Bukit Timah Road and Holland Village, not forgetting Orchard Road, just a short drive away from Espa. Espa is conveniently connected to major highways like Pan Island Expressway (PIE) and Bukit Timah Expressway (BKE) which ensures easy commuting to the Central Business District (CBD) and the rest of Singapore. Ideal for those working in Bugis, Suntec City/Marina Bay & Downtown CBD. Also ideal for those with children studying in Bukit Timah area. Peaceful and quiet area with lots of potential. Another two years and there will be a mrt station built next to it. Shopping is convenient as there are currently two malls; junction 10 and Bukit panjang mall. Two more on the way.